My new site is now up and running at jasonthings.com. 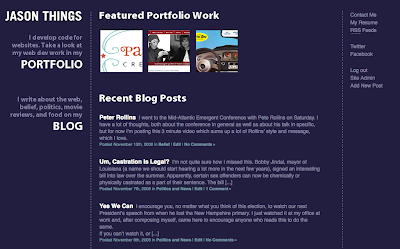 As I move into the world of web development, my website needs it's own URL, a portfolio section, and a clean professional look. And it will still have a blog, of course.